Dust isn’t just unattractive—it can potentially damage or even destroy parts of your computer. Cleaning your computer regularly will help you keep it working properly and avoid expensive repairs. Turn the keyboard upside down and gently shake it to remove dirt and dust. 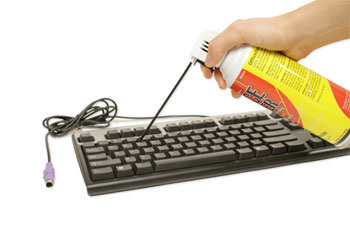 Use a can of compressed air to clean between the keys. Moisten a cotton cloth or paper towel with rubbing alcohol and use it to clean the tops of the keys. Do not pour alcohol or any other liquid directly onto the keys. If you spill liquid on the keyboard, quickly shut down the computer and disconnect the keyboard. Then turn the keyboard upside down and allow the liquid to drain. If the liquid is sticky, you will need to hold the keyboard on its side under running water to rinse away the sticky liquid. Then turn the keyboard upside down to drain for two days before reconnecting it. Please note that keyboard may not be fixable at this point, but the method above is probably the best option. To prevent this situation altogether, we recommend keeping drinks away from the computer area. 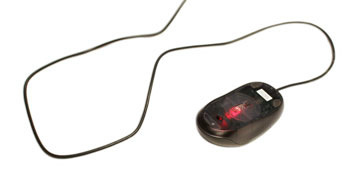 Unplug the mouse from the USB or PS/2 port. 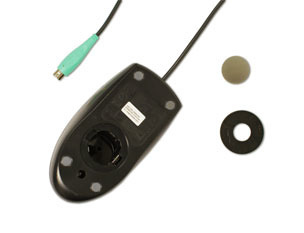 If the mouse is plugged into the PS/2 port, you will need to shut down the computer before unplugging it. 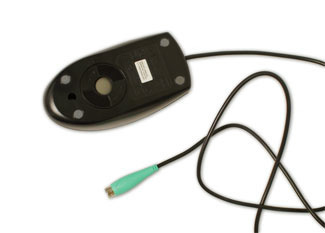 If you have a mechanical mouse, remove the tracking ball by turning theball-cover ring counter-clockwise. Then clean the tracking ball and the inside of the mouse with a cotton cloth moistened with rubbing alcohol. Allow all of the parts to dry before reassembling and reconnecting the mouse. If you are connecting it to a PS/2 port, you will need to connect it before turning on the computer. Dirt, fingerprints, and dust can make your computer screen difficult to read; however, it’s easy to clean your screen when needed. There are monitor-cleaning kits you can buy, but they may damage your monitor if they’re designed for a different type of monitor. For example, a monitor cleaner that is designed for glass screens may not work with some non-glass LCD screens. The safest method is simply to use a soft clean cloth moistened with water. Do not use glass cleaner to clean a monitor. Many screens have anti-glare coatings that can be damaged by glass cleaner. Unplug the monitor from the power. If you are using a laptop, unplug the laptop. Use a soft clean cloth moistened with water to wipe the screen clean. Do not spray any liquids directly onto the screen. The liquid could leak into the monitor and damage the internal components. From time to time, you should clean your computer case and the sides and back of the monitor to avoid a buildup of dust and dirt. Here are a few tips you can use when cleaning these surfaces. Dust is your computer’s main enemy. Use an anti-static cloth to lightly dust your computer casing. Do not use furniture cleaners or strong solvents. Use a can of compressed air to blow out debris from the air intake slots. Ammonia diluted with water—or glass cleaner comprised mostly of ammonia and water—is a safe cleaning solution for computer surfaces. The milder the solution, the better. Clean the monitor housing and case (but not the monitor screen) by spraying a safe cleaning solution onto a paper towel or anti-static cloth and wiping in a downward motion. Don’t restrict airflow around your computer. A computer can generate a lot of heat, so the casing has fans that keep it from overheating. Avoid stacking papers, books, and other items around your computer. Many computer desks have an enclosed compartment for the computer case. If you have this type of desk, you may want to position the case so it is not against the back side of the desk. If the compartment has a door, you may want to leave it open to improve airflow.